Thirty years have elapsed since the Battle of Gac Ma and the region has dramatically changed. From a country with no territory in the Spratly, now China has occupied and fortified various outposts for military and civilian purposes in the area. The growing Chinese might has cemented its ambition for complete dominance and hegemony in the South China Sea (Viet Nam's East Sea or Bien Dong). Yet, the Vietnamese people and army would ever stand in unity, never lose their determination and cherish the spirit of the naval soldiers who sacrificed their lives for the homeland's maritime sovereignty in the battle of Gac Ma. 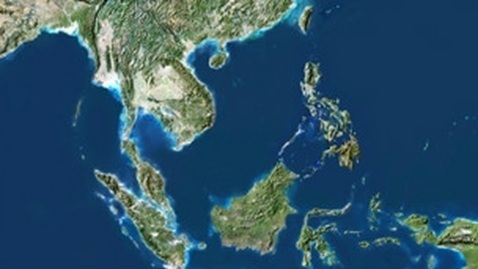 SCSC - Hong Kong media recently reported a China’s maritime research project proposing “a new boundary line” in the South China Sea, which can “help the study of natural science” while “adding weight to China’s claims over the sea area. 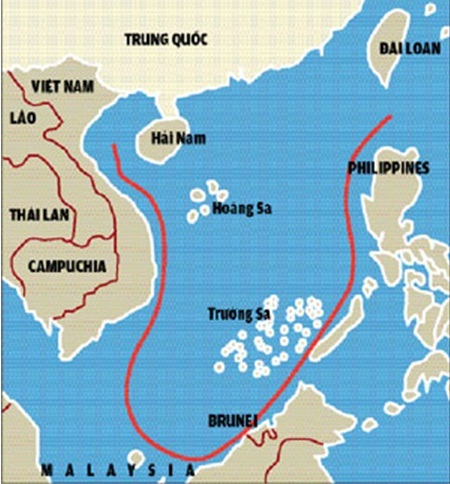 The proposed boundary is a continuous line coinciding exactly with the current U-shaped line that encircles a vast area rich in natural resources in the South China Sea, over which China lays its claims. 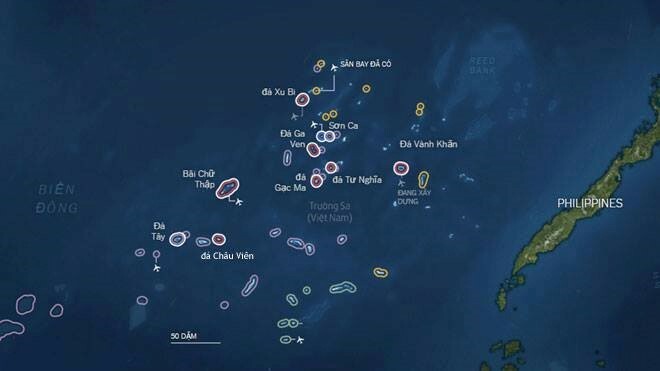 SCSC - Spratly archipelago of Vietnam has an important strategic location in the world’s busiest maritime route in the South China Sea, which is considered the “pharynx” connecting the Pacific Ocean with the Indian Ocean. International strategists say anyone who controls the Spratly can dominate the South China Sea. 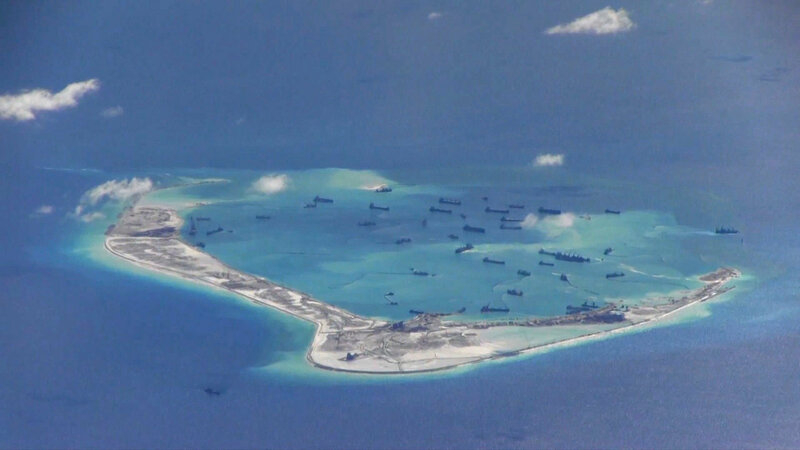 That’s why, Beijing authorities have attempted and sought ways to occupy the islands. 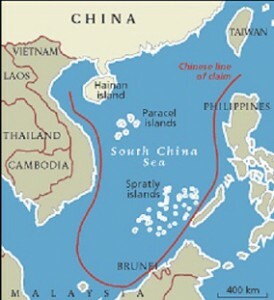 SCSC - On December 21, 2016, US scholar Mark Valencia, currently adjunct senior scholar at the National Institute for South China Sea Studies in Haikou, Hainan, China wrote an article titled “China is not the only one 'militarising' the South China Sea” on the South China Morning Post, providing a biased and untruthful reflection of reality in the South China Sea. Mark Valencia used criticism from US experts and press of China’s militarization in the South China Sea (after the Center for Strategy and International Studies (CSIS) of the US released an image of Beijing locating air defense and anti-missile systems in artificial islands that China constructed in the Spratly) to write pretext for his article. There’s one international power that doesn’t seem particularly bothered by Duterte’s excesses. “The Chinese side fully understands and firmly supports the Duterte administration’s policy that [prioritizes] the fight against drug crimes,” said Chinese Ambassador to the Philippines Zhao Jianhua in a speech last month. Vietnam supports U.S. "intervention" in the Asia-Pacific if it helps keep peace and stability, the defense ministry said, in a timely endorsement of a continued U.S. presence amid uncertainty over Washington's faltering "pivot". BEIJING — Here is a word rarely used to describe Philippine President Rodrigo Duterte: soft. What’s wrong with the United States’ Southeast Asian allies? 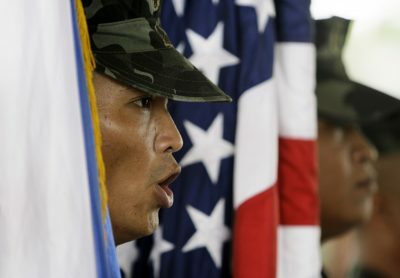 The Philippines and Thailand are not acting like US treaty allies are supposed to. While the Philippines’ President Rodrigo Duterte seems somewhat of an outlier, his anti-Americanism is only the latest instalment of instability in the US–Philippines relationship. In China, Rodrigo Duterte and Philippines May ‘Pivot’ Away From U.S.